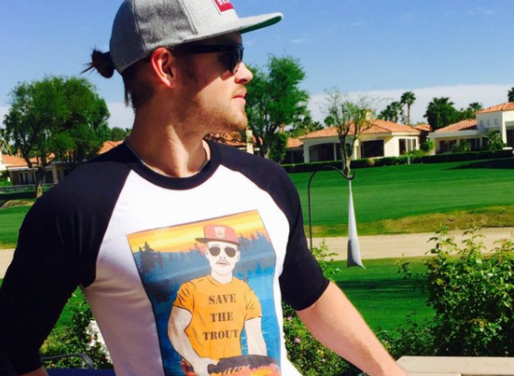 Proceeds from every shirt sold go to Trout Unlimited's mission to preserve our fisheries and Save the Trout! The nation’s number one outdoor activity is fishing, and Trout Unlimited makes fishing better to put it simply. We protect, reconnect, and restore North America’s coldwater fisheries by working with over 150,000 dedicated volunteers and members across the country. Every day, TU rolls up it sleeves to tackle deadbeat dams and replace culverts so trout and salmon can reach their headwaters to spawn. We help create national monuments and protect vast public land so people can enjoy trout, salmon and steelhead in the wild. You can find TU hard at work in county seats, state legislatures and on Capitol Hill working to protect cold clean water, and also in your community at one of the more than 400 chapters. - Protecting nearly 1400 stream miles across the US and 7.8 million acres of land. - Restoring over 140 miles of river. Trout Unlimited volunteers donated more than 650,000 hours in service to their communities. More than 40,000 children also benefited from our commitment to youth education, and more than 2800 veterans found the healing power of time spent on the water. More than 35 college campuses hosted TU affiliate chapters in our 5 Rivers program. Trout Unlimited is a tax exempt 501 (c ) 3 organization founded in 1959 on the banks of the Ausable River in Michigan. 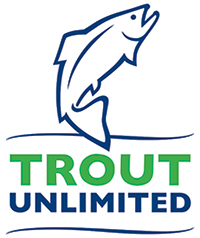 By purchasing from this campaign, your email address will be shared with Trout Unlimited to hear more about their initiatives.